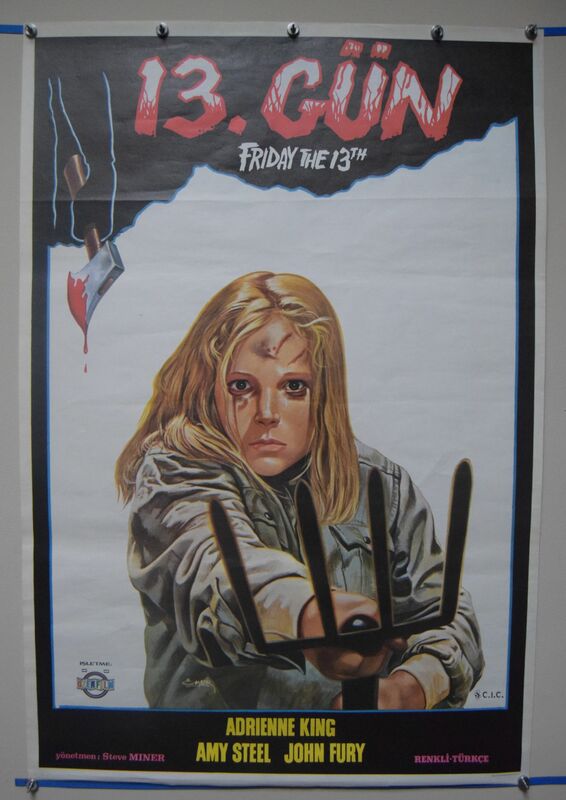 Friday the 13th (Paramount,1980) Turkish One Sheet 27" x 39.5"
Wonderful and different art on this fabulous Turkish poster for Friday the 13th. The poster has two small edge tears at the bottom of the poster. Displays very well.